Vastly over rated in my opinion. I only stayed for about 15 minutes, as the staff made no effort to keep the 2 pub dogs away from my dog. Two dogs pestering a dog on it's lead ... could have gotten nasty. 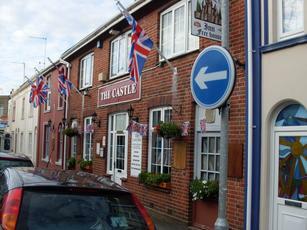 The best pub in Sandown by far. 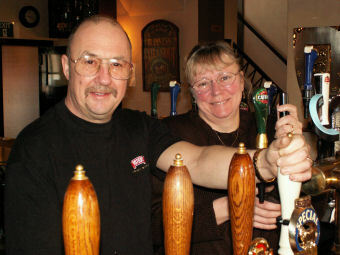 Excellent range of real ales, reasonable prices, and very friendly. I was on the island for the Beer & Buses weekend (14 & 15th October 2017) and luckily this pub was nearest to my hotel. In the Stables annex there were ten or so guest beers and three or four superb guest ciders. In the main bar there were four or five guest beers including HOBGOBLIN GOLD, GODDARD'S IPA (£2.80/pint) and FUGGLES DEE DEE. Every beer I tried was in superb nick. The whole pub had been decorated in original fashion for Halloween. These decorations are really worth going to see, as they are not your standard shop-bought tripe. The whole pub resembles a Wax Museum. For smokers/vapers there is a very nice beer garden patrolled by two lovely cats, Tia and Maria. The owners and the locals were friendly and approachable. 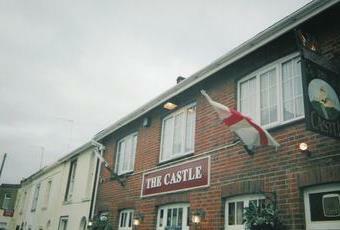 The Castle is the best pub to be found. excellent pub,everyone should visit,enjoyed bude neet and bude black rock porter!great service,nice mix of regulars and holidaymakers! Excellent pub with 6 beers on 2 from hobgoblin,young's special,2 from iow brewerys,had very good pints of island yachtsman.worth a visit if on Sandown.